Have you ever wondered what was President Lincoln's priority during the Civil War? Whether it was saving the Union or ending slavery? This letter speaks to his priority. And yes, it is very clear what he wanted. This is one of Abraham Lincoln's most famous letters written during the Civil War. It was written to Horace Greeley who was a very influential editor of the New York Tribune. This letter was in response to an editorial penned by Greeley to Lincoln. Greeley's editorial was called "The Prayer of Twenty Millions." In it Greeley attempts to make the case that Lincoln's administration lacked direction and resolve. 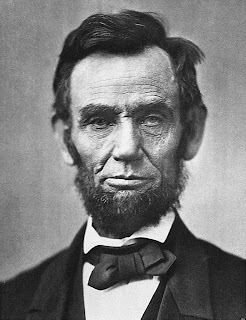 Researchers say that President Lincoln wrote his response while a draft of the Emancipation Proclamation was already in his desk drawer. His response revealed his concentration on preserving the Union. By his own words, that is Lincoln's paramount goal. No, it was not to end slavery. The letter, which received acclaim in the North, truly stands as a testament to how President Lincoln saw his Constitutional responsibilities. I would save the Union. I would save it the shortest way under the Constitution. The sooner the national authority can be restored; the nearer the Union will be "the Union as it was." If there be those who would not save the Union, unless they could at the same time save slavery, I do not agree with them. If there be those who would not save the Union unless they could at the same time destroy slavery, I do not agree with them. My paramount object in this struggle is to save the Union, and is not either to save or to destroy slavery. What I do about slavery, and the colored race, I do because I believe it helps to save the Union; and what I forbear, I forbear because I do not believe it would help to save the Union. I shall do less whenever I shall believe what I am doing hurts the cause, and I shall do more whenever I shall believe doing more will help the cause. I shall try to correct errors when shown to be errors; and I shall adopt new views so fast as they shall appear to be true views. As amazing as it sounds, a few years after President Lincoln's assassination, New York Tribune editor Horace Greeley wrote a critical article stating that Lincoln did not actually respond to his "The Prayer of Twenty Millions" editorial. Greeley stated that President Lincoln instead used his response as a platform to prepare the public for his "altered position" on emancipation. Yes, Greeley bashed President Lincoln right after he was shot dead. Image that. Very active in politics,Greeley served briefly as a congressman from New York. He was also was the unsuccessful candidate of the new Liberal Republican party in the 1872 Presidential Election. He ran against incumbent President Ulysses S. Grant and lost in a landslide despite having the additional support of the Democrat Party. Just prior to election day, Greeley was said to have been devastated by the death of his wife who died five days before the election. He himself died three weeks after the election. If Horace Greeley's name sounds familiar, that's no surprise. He urged Americans to go West and settle there. Though rightfully so or not, today he is credited with coining the phrase "Go West, young man, and grow up with the country."